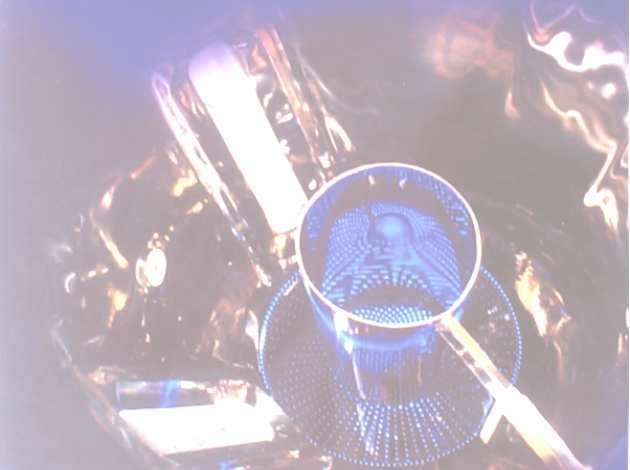 One of the main issues prior to drying the product is to ensure the conditions of the system are exactly the same for each batch by preparing the humidity within the product bowl prior to transferring from the granulator. 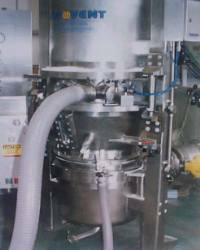 When drying the product the system senses three areas, inlet temperature, product temperature and exhaust temperature. The most important being the product temperature which should be used as the endpoint loss of moisture control, and by entering a temperature set point within the control system, the final moisture can be perfectly balanced to ensure a good free flowing granule. Finally the product, especially if hydroscopic, should be cooled again using the product temperature control. As opposed to the shear Granulator the Fluid Bed Dryer can be prepared to be used as a top or bottom spray coater and agglomerator. The air handling system has a face and bypass air mixing system allowing pre-heated air to be mixed prior to entering the system. The filtration can be standard Eu4 or EU8 protecting high efficiency HEPA Filters. In the event of the filter bag or cartridge filters becoming damaged, an exhaust filter should be fitted to protect the environment safely. The system should be pressure shock qualified by using inlet and exhaust fast acting valves allowing any overpressure to be vented through calculated burst discs to atmosphere, along with an earth proving system in the event of static build up. 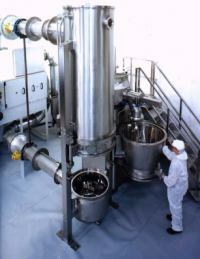 The Fluid Bed Dryer can use the negative pressure of the main fan to transfer the product through a wet mill (if required) into the product bowl, via an extension chamber. 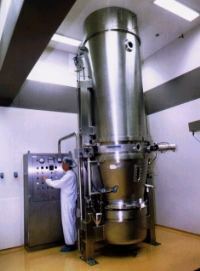 When the product has dried, by connecting a dry mill inline between the fluidised bed dryer and the vacuum discharge system the product can then be calibrated to the final granule size. 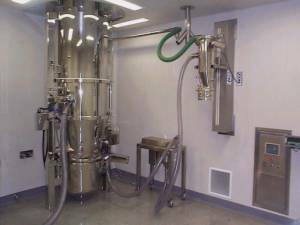 The vacuum discharge system is operated by transferring a given amount of product into a holding chamber, then closing the vacuum and opening a bottom discharge system allowing the product to free fall into an IBC, again the system has a filtration with an automatic cleaning system.